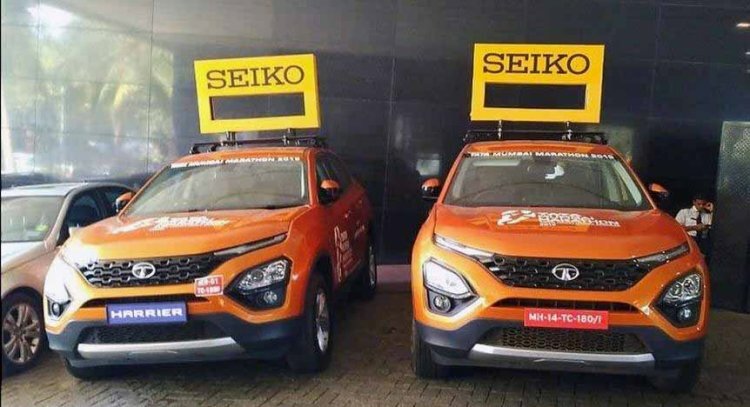 The Tata Harrier will be the official lead car for the Tata Mumbai Marathon 2019. A unit of the new Tata flagship will carry the winner's trophy across Mumbai from January 14 to January 18. The continent's largest marathon will be held on January 20. The Tata Harrier will launch on January 23 and is expected to retail in a price bracket of INR 16-20 lakh (on road). The Tata Mumbai Marathon in one way is the dynamic public debut of the Tata Harrier. Ahead of the mass participation sporting event, the Tata Harrier will be showcased at locations in Mumbai, including at the campuses of TCS, BNP Paribas and Tata AIG. The Harrier made its static public debut in Gurugram on 18 December. The new model has been on a country-wide tour and will be even put on display in Kochi, Hyderabad and Chennai within a few days. The Tata Harrier will officially go on sale on 23 January and is the first of the three all-new models that the company plans to launch in 2019. Furthermore, it's the first production model to follow the company IMPACT 2.0 design theme. Bookings have been underway online and at all authorised dealerships since October. Moreover, those who book the SUV at its ongoing country-wide tour get a free diecast scale model. Tata's flagship is powered by an FCA-sourced 2.0-litre Multijet II turbo-diesel engine that has been christened 'Kryotec.' The motor features an electronically controlled Variable Geometry Turbocharger (eVGT) and outputs a maximum power of 140 PS and a peak torque of 350 Nm. The motor comes mated to a 6-speed manual transmission, but an optional Hyundai-sourced 6-speed automatic unit will be offered in the near future. Underpinning the new model is the company's Omega Arc platform. The Tata Harrier should cost INR 16-20 lakh (on road) and challenge a wide range of models including popular SUVs Hyundai Creta and the Mahindra XUV500.